Does CPR Seattle provide on-site training for the workplace? I am a healthcare provider; what course do I need? Can I study before class? Can I enroll in a CPR class on the same day the class will be taught? Will I earn a certification card for the Babysitter Class? What do I need to complete before class? Do you cancel classes due to low enrollment? Why do your classes take less time than traditional CPR? Do you have refresher courses? I am interested in becoming a CPR instructor. How can I find out more information? 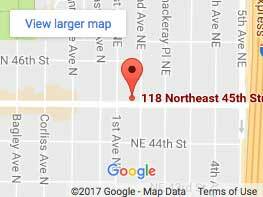 What training agency does CPR Seattle teach through? I've seen online courses in CPR that are more convenient for me. What are the advantages of taking a course in a classroom? Does CPR Seattle teach the new CPR protocol? Absolutely! We will travel to your workplace for as few as four people. Prices are substantially less (per person) for larger groups. We are happy to customize the training to you needs. For more information visit our workplace training page, fill out our request a quote page, or we could love to hear from you in person! Call us at 206-504-3280. We always recommend that students check with their employer to see exactly what class they need to take. If you need CPR for the Healthcare Provider, we have it. Visit our BLS for Healthcare Provider page to enroll. Other healthcare provider classes we offer include ACLS, ACLS Renewal, PALS, and PALS Renewal. Often times healthcare providers or nursing school students need first aid training as well. You can enroll in a First Aid course with us too. No problem; as long as the class is still open, you can enroll and pay online. If you are having trouble enrolling online, please contact us and we can look into other arrangements. Yes! Students who complete the Babysitter Training Class at CPR Seattle will receive an American Safety and Health Institute "Child and Babysitting Safety" certification card, as well as a book. Please read your confirmation email for information about any pre-course study. 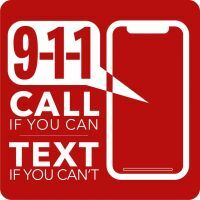 Our CPR, first aid, and BLS classes do not require any pre-course study however you should go through the attachments in your confirmation email, and if you purchased an eBook you can benfit from reading through it. For our ACLS classes, please read your confirmation email as there are quite a few items to complete before class. For our Wilderness First Aid training, please review your book if you purchased one. And for all of our classes, please arrive to class about 10 minutes early, wear comfortable clothes, and feel free to bring a snack (however we do have complimentary tea and granola bars here for you). Our location is 4222 Stone Way N, Seattle WA 98103. We are on the ground floor of the Howard Park building. Click here for directions. Never! We will conduct all scheduled classes, even those with just one student attending. NOTE: Our Wilderness First Aid course and ACLS courses are exceptions to this policy. We have a minimum enrollment requirement for these classes to proceed. AED stands for automatic external defibrillator. We are a training center/site for some of the nation's best CPR training organizations, including Medic First Aid, the American Heart Association, and the American Safety and Health Institute. This allows us to offer the best program for each particular type of training. All of the organizations we represent share the philosophy that CPR is a motor skill, not a cognitive skill. More lecture does not lead to better retention. All of our classes spend the majority of the training time with actual "hands-on" practice. Certification cards for all of the classes we teach are valid for two years from the issue date with the exception of the bloodborne pathogens (BBP) class. Bloodborne pathogen certification is valid for one year aftter the issue date. Please refer to the class description page for the class that you are enrolled in for cancellation information. Most classes have a 48 hour cancellation policy, but our WFA (Wilderness First Aid) class has a 20-day cancellation policy, and our ACLS (Advanced Cardiac Life Support) class has a 7-day cancellation policy. All our Heartsaver and BLS courses can be taken by both first time CPR students and those with previous training. Our classes are performance based - you will move through the skills at your own pace. We do offer an ACLS renewal class if you have a non-expired AHA ACLS certification card. CPR Seattle currently offers instructor training for businesses and individuals. Visit our Heartsaver CPR & First Aid Instructor Training page to find out more information about teaching layrescuer CPR and first aid. Visit our BLS Instructor Training page to find out about becoming an instructor for both the AHA BLS program, and all of the AHA Heartsaver CPR and first aid programs. CPR Seattle is an American Heart Association ACLS and BLS Training Center. 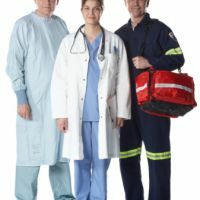 While online courses may provide the same basic concepts as an in-class course, CPR (cardiopulmonary resuscitation) is a motor skill, not a cognitive skill, that requires practice and repetition in order to learn effective techniques. Also, many employers will not accept online-only training. With CPR Seattle, 90% of your class time is spent practicing on mannequins or participating in real life scenarios. Our instructors are there to help you with technique, answer any questions you might have, and most importantly, customize the class to your unique needs. Yes! In 2015 there were minor changes to how CPR is taught. CPR Seattle always stays current with any new training guidelines. Revised training guidelines will be released again towards the end of 2020.